much love, illy: glitter, sequins and all that jazz. living in a small town doesn't call for a lot of glitter and pizzazz. there is a part of me that loves the small town living but i am a big city girl at heart. i wore this glittery, black sequined top to a Christmas party last year with a sassy black blazer and dress pants and kicked around in fancy black heels. soooo...just because i don't see a glitter-filled party in the near future, i still had the craving to rock around in some sequins today - even if it was filling orders and sewing all day. then again, every day should be a party in my book. live life like it is. rock out in some sequins and glitter this weekend - even if it's under some denim or over your PJs. p.s. did you enter this fantabulous giveaway yet?! well, you should. I second that! Super cute boots! So cute! I totally agree - glitter should be worn all the time, with everything :) Happy Friday! I agree! And this is THE time of year for sparkle :). I love those sequins! And those boots are wonderful! You are too cute! Love glitter and love your top! Love that you used the shambray shirt as a sweater! CUTE! you are soo cute!! 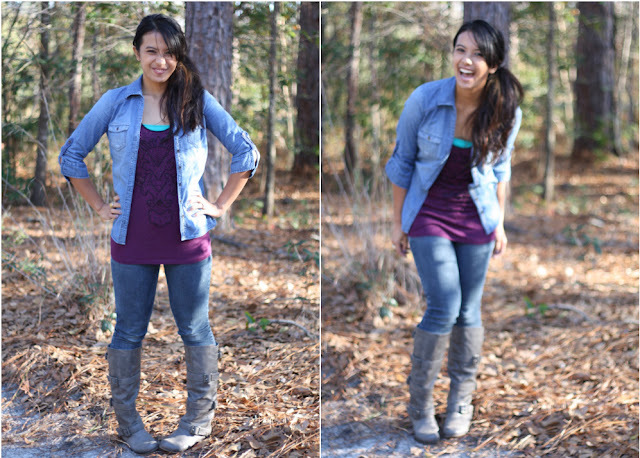 love how you layered everything! I LOVE glitter and sparkle!!! And this weekend I think that will be all I rock [partly because it's my birthday weekend hehe] and I'm from a small town and when I go back to visit [Oklahoma] I bring all my Cali love with me. My gma loves it! She tells everyone I'm from Hollywood [even though I'm not]. lol. CAAA-UUUTEEE outfitttt!!! <3 the boots:D and I have to agree about the small town/big city girl thang. "then again, every day should be a party in my book. live life like it is." I SO needed to be reminded this. Thanks Ilene! Me: I have to get in the shower and get ready! Sister: Why, what are we doing today? Me: Uhm, nothing that I know of. I need to take pictures for the blog. HAHA. Everyone needs some sequins in their life!!! the first thing I bought when I moved to Atlanta was a black BCBG cocktail dress because I just KNEW I NEEDED It....because by December I would have a handsome boyfriend to take to our fabulous office Christmas party......I've seen no boys come to my yard and we're having a white elephant during a pizza lunch on friday. #facepalm. I agree everyday should be a party! 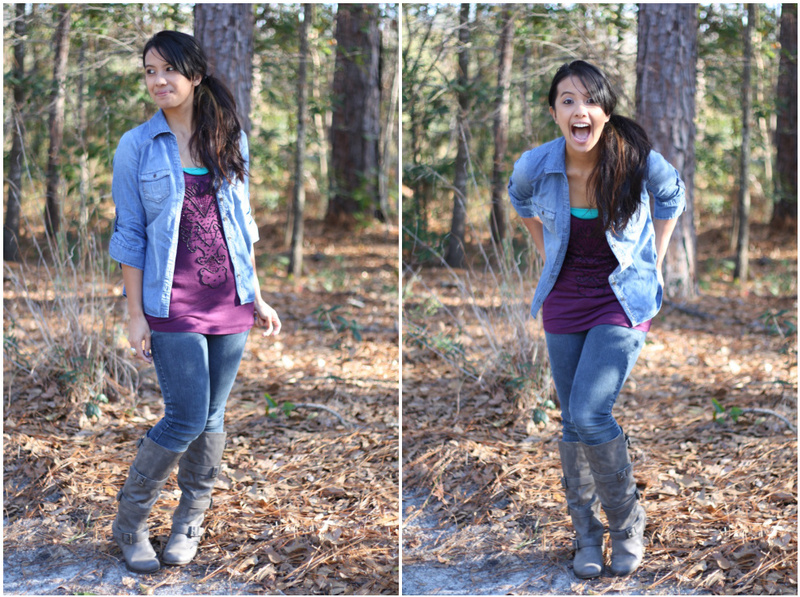 I love that denim button up of yours and you look so adorable Ilene! Thank you for sharing, sparkly uggs boots fashion style in winter. I very like your article, It very interesting, you can welcome to visit my shop,Mysequin uggs,sequined uggs, there are many cheap discount, I hope you will be interested in, thank you!